Con Coleman Title the visitor sees. Helping the helpless can be a real pain, especially when magic's involved. 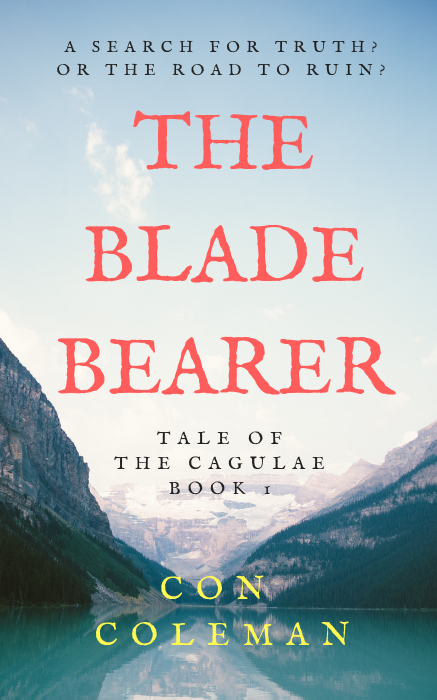 Will just wants a peaceful life, but when he takes pity on a crippled vagrant who thinks he's the wronged King of Aeoland, things become very complicated very quickly. Can he stay in once piece long enough to discover the truth behind the crazed myth-making of The Broken King? Get your free copy of The Broken King. A poisoned wood. A shattered tower. An archer with a broken bow. Down on his luck and desperate for cash, Will has to take what he can get, so he puts aside his distrust of magic to help a mysterious noblewoman. But what of the strange figure lurking beyond her tower, and the mysterious Witch Trees that thrive while everything else perishes? Click here to get your free copy of The Witch Tree. Three adventurers. Three magic gems. One big problem. A knight who thinks he holds the fate of a kingdom in his hands. A thief compelled to fulfil an ancient prophesy. A sorcerer who dreams of demons. Will may be the best archer in the kingdom, but what use is his keen eye and quick wit when he has to guide these three unhappy companions on a quest into the unknown? And who will survive when they finally discover the truth? This is the website for fantasy author, Con Coleman. Find out more about Con. Join my mailing list to get your free short story. Enjoy rambling nonsense about everything from Marvel movies to classical music? Me too!